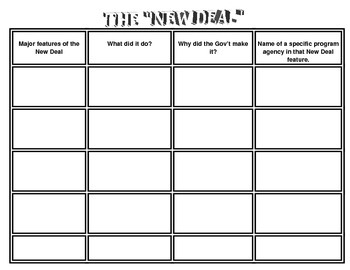 Students will fill in a chart to answer the questions: What were the major features of the New Deal? What did it do? Why did the government make it? and Name a specific program agency in that New Deal feature.